Nintendo has officially launched the website for it’s new mini NES console. It looks amazing as they have recaptured the classic gaming era of the 80’s. You can check out the new website here . 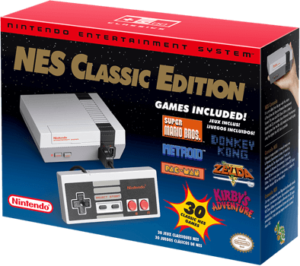 Alright, so if you don’t know already, Nintendo has announced that they will be releasing a new mini classic NES system that will come with one “classic” controller and 30 greatest hit games from the original Nintendo console which was released in North America in 1985. The console will connect to your tv via HDMI. For those of us who grew up playing the NES console, this is a great way to enjoy our favorite games from our childhood. Plus, we won’t have to blow into any cartridges! This mini console will be available for purchase on November 11th 2016. Here’s what comes in the box. This new Hyrule Warriors trailer looks promising as it shows off an assortment of characters, moves, and amazing gameplay. With each new video update we get for this game it seems to be looking better and better. What do you think so far? Nintendo has just launched Nintendo Network ID through a new software update on the 3DS. This means that your 3DS will have an account system that’s very similar to the Wii U. In fact, if you own a Wii U and a 3DS, you can now link both consoles to one Nintendo Network ID which will allow you to use the same funds across both platforms. Other features include being able to use Miiverse on 3DS just like you would on Wii U and of course continued access to the Nintendo eShop. The key feature of this update is obviously the ability to share a wallet between consoles, this is something that has been requested for some time. There will no doubt be more features added to enhance the Nintendo Network as time goes on, but my personal request would be that they offer more downloads, like virtual console content, that can be played on both the Wii U and 3DS. 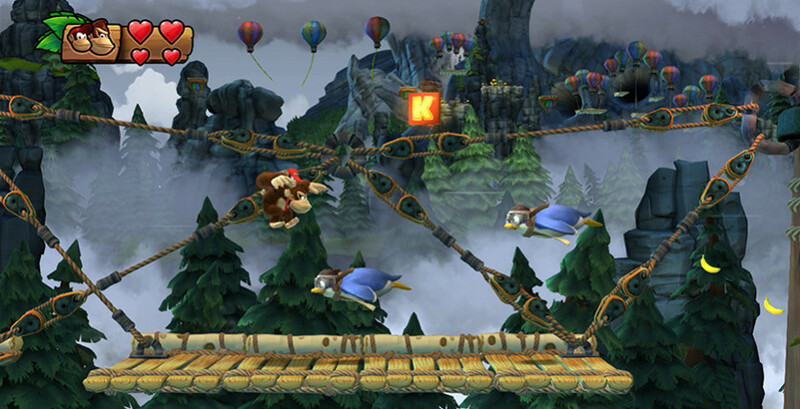 Donkey Kong Country: Tropical Freeze will be hitting store shelves in North America on February 21st 2014. The all new Donkey Kong makes it’s HD debut with a new playable character, Cranky Kong! The game looks really good in HD and the trailer on Nintendo’s website really showcases that the most. The video above is the official announcement from Nintendo via Reggie on VGX. Nintendo also plans to release some other big titles in 2014 including a new Smash Bros., Mario Kart, and eventually a new Legend of Zelda adventure. 2014 could be setting up to be a big year for Nintendo.